The elongated loop is one of the varieties of shot loops. They help to decorate the knitted product and to diversify even the most simple habitual pattern. 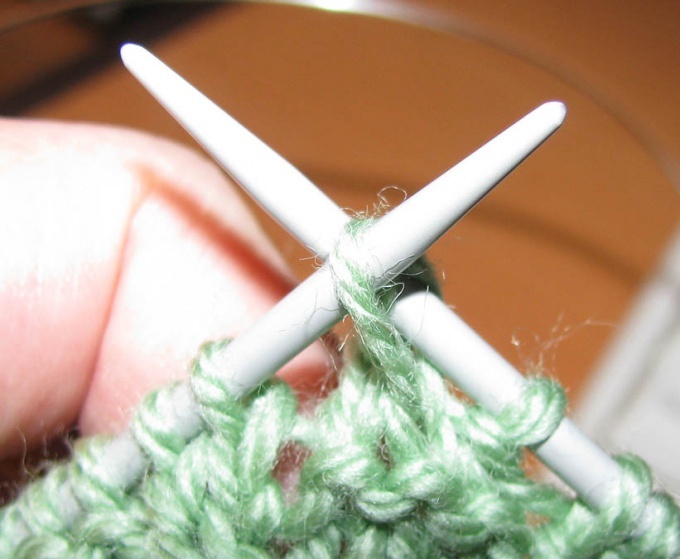 To learn how to knit, you have to remember the algorithm and spend 15-20 minutes to complete several training exercises. Short shot loops are removed to a height of one or two rows. To tie, pass the needle into the loop from right to left and remove on right needle, not povezav. Long elongated loop wider, up to 6 rows. If you need such a result, put the working thread on the forefinger, left to right, enter the right needle into the loop. The end of a spoke 2-3 times, wrap the thread clockwise. Keeping the coils in the same position, retract the needle back into the loop and remove the knit loop on the right needle. In the second and subsequent rows, the needle enter from right to left. The loop, which was obtained from the coils, take, promazyvaya. 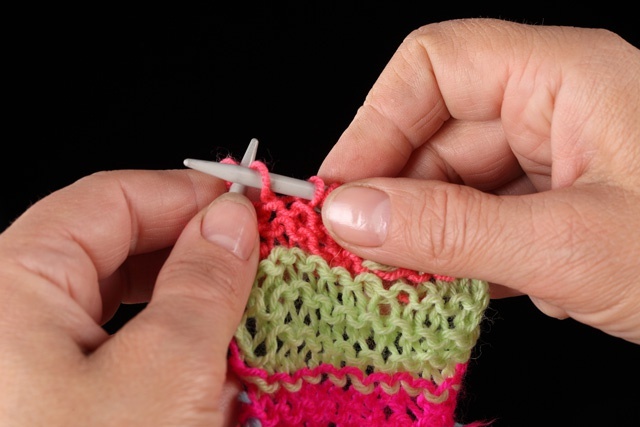 To consolidate skills, practice on a small piece of knitting when you have free time. First try to make a rubber band shot from short loops. To do this, enter an odd number of loops on the knitting needle and form a blade height of 3-4 rows of any standard way binding. Then dial one number, alternating between one front and back. The next and all remaining even rows knit out of the ordinary shot facial and purl loops. The second exercise will allow you to tie the long loop on the wrong surface. Enter an odd number of loops. In the first row, tie 4 inside-out, one front with two turns (as in n. 2), 5 purl. Alternate front with five purl to end of row. At the end provarite front with coils, 4 reverse and one edge. In the second row make 4 front loops, one clear and pull, dangling from the needles, the coils, and then type 5 facial. At the end of loop number 1, clear, type 4 front and 1 edge. The third row consists of 4 reverse, one shot, five wrong. When you get to the end of the row, 1 loop and remove the dial 4 and the reverse edge. Repeat the pattern, alternately using the schema of the second and third rows. If short and long shot (elongated) loop pull canvas before the front loop, make a yo, and only then provarite her. On the inside same remove it and drop yo from needle. Once the knitting was a pressing need for people who wanted to get a durable and warm clothing. Nowadays knitting is more of a hobby. Things in the style of Hand-made products do not lose their relevance. Besides, vymazyvaja dress with your own hands, you can always make it original and unique. In recent years it has become fashionable clothing looking a bit worn, zastiranny and even spoiled. The same fate befell knitted items. Today is a very popular knit stitch. Deflated (or missed) loop are always considered a defect that a knitter ought to eliminate, ie, up her dropped stitch with crochet. Today it is possible not to do that. Conversely, you can specifically schedule such absences to get the most fashionable option. When knitting stitch, you can obtain two "tracks": vertical and horizontal openwork track. Options promazyvanija such loops too much. If you want to get a vertical track, then tie the loop to the top of the part, then lower it down, while in the extended place get delicate track. In the case of a horizontal openwork tracks, you should knit as follows: knit one row with SC (the more nacido in one place, the higher the loop after blooming), next row knit, descending nakida and pulling the loop. Then knit by following the specified pattern (e.g., the front / reverse or criss-crossing groups of elongated loops). There are lighter "images" drop-stitch. Determine where you want to pull a loop. In the front row gain yo. Promazyvaya the wrong side, whip yo, not promazyvaya it. Another very interesting version of the stitch called "Rain". You can get it if you first add a loop of broaches, and then get it down. The only drawback is that with the binding, even the hinges, are located on the 2-3 rows below the lowered loop is losing integrity. To strengthen the "construction" of the knit loop on the left and right of the spread loops are tightly crossed. This "picture" (it can be positioned on the product in a chaotic manner) looks great on the tent surface. First, practice counting nacido and descents, the number and location of which must be strictly controlled. Second, dissolve the sample, you will be able to determine how much yarn you need for your product. By measuring associated sample, remember that you need to measure the sample is lowered loops. Some types of drop-stitch greatly increase the size of the product.